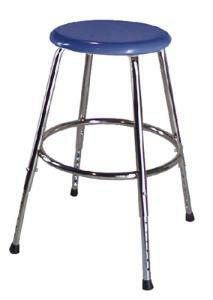 These metal stools are adjustable and comfortable. These blue stools are available in three heights. They feature four steel legs, a steel foot ring and a sturdy, 12" wide Melamine seat.